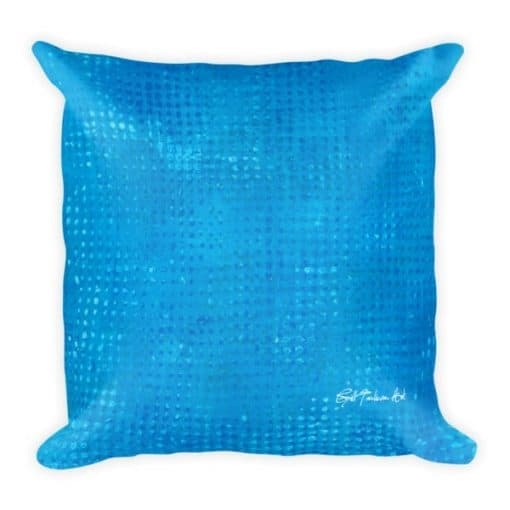 Bring the colours of Greece into your home with this luxuriously soft cushion. I am really pleased with the quality of the print, colour and detail recreated on fabric with these cushions printed from my original art. Geranium in a Blue Pot was inspired by memories of trips to The Cyclades Islands with their dazzling whitewashed streets, dotted with blue-painted feta tins and brightly blossoming geraniums. The original painting was a collage built from hand-decorated papers, with acrylic paint and tiny scraps of Greek text to complete the sense of place. The back of the cushion has a specially designed textured print to complement the front, in shades of matching blue. 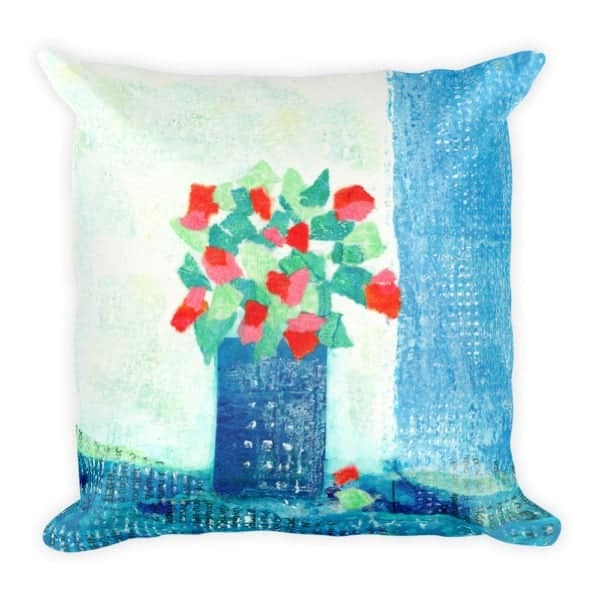 This cushion pairs very nicely with By the Wall as they are from the same series of paintings and both have the same shade of blue design on the reverse. It comes with a soft polyester insert that will retain its shape after many uses, and the cushion cover can be easily machine washed.